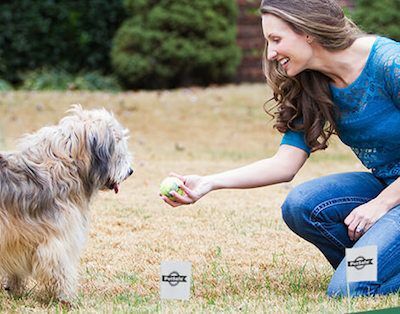 A wireless dog fence can be a great training tool for dog owners with wandering pets. Some dog breeds are prone to exploration. They follow their nose and independent streak, even if it has the potential to get them into trouble. 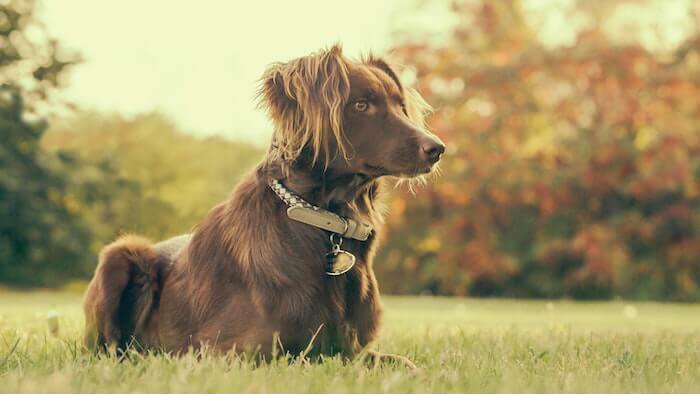 A wireless fence teaches them to stay within invisible boundaries, via a simple correction system in a collar. With time, you can remove the collar and trust the dog not to stray. This sounds great, but some property owners have concerns about setting up one of these dog fences. Here are some important steps to consider. 6 steps on how to install a wireless dog fence. 1. Understand your property and space. The first step here is to take a good look at your property and boundaries. Understand just how far this fence needs to stretch, and what areas are out of bounds for your dog. When you walk around the perimeter, you will get a better idea of the size and shape. 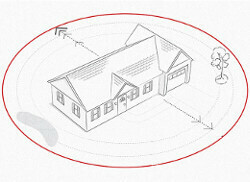 This will help you choose a wireless dog fence with a strong enough signal. If you have a strange shaped property, or a lot of land to cover, you may decide that an in-ground fence is actually the better option. 2. Choose the right wireless dog fence for the space. This next step is important. Don’t rush into a purchase because you are desperate to get the fence operational. It pays to take the time to research and compare the best wireless dog fences. Look for a model that will suit your property, but also the animals in the home. Is the system adaptable for more than one animal? What is the battery life like on the collar? What modes of correction does it offer? Figure out what you need from this system and find the best match. 3. Find a suitable spot for the transmitter. Ideally, the site of the transmitter will be in the dead centre of the property. This is because these products have a circular perimeter and radius. If there is a suitable spot with an outlet. Plug it in and test out the range. Do not do this with a dog. Do this yourself with the collar receiver in your hand. Remember that metal can interfere with the signal. Therefore it isn’t a great idea to plug this in near a parked car or metal roof. The fewer obstacles there are between the transmitter and boundary, the better the signal. 4. Fix the radius of the invisible containment system. This next step on how to install a wireless dog fence is a little more difficult. Different systems have a different minimum and maximum radius. It is important to make sure you have the perimeter at the optimal distance from the transmitter. If you go too far, you may find that it breaches the border of the property in some places. This could be a security risk. Go too small and you limit the area that is accessible to your pet. You don’t want to contain their freedom too much. Walk to the edge of the property with the collar and have someone else play with the settings until the collar beeps. This can take a little time and communication, but it is worthwhile. 5. Get your dog used to the collar and training flags. Remember that this is a training tool as much as a pet containment system. You can’t expect to set up a fence, put the collar on the dog and expect results all in the same day. Your pet may be a little wary of the new devices. Let them sniff out the transmitter and walk them around the perimeter with the flags. Show them the boundary before you correct them for breaching it. Later on, place the collar on them so they can feel the weight. Work gradually to make them comfortable before setting the system up. 6. Put it all together and turn it on. Once the dog is comfortable with the ideas and un-bothered with the tech, you can start the training with an operational fence. Show them what happens if they stray beyond the boundary with the collar on. Then leave them to learn the limitations and consequences. Start with low settings and gradually turn them up as you need to. It is important to take a slow, steady approach when learning how to install a wireless dog fence. Those that do this with the best wireless dog fences should see some great results. Those that rush in, with ill-considered perimeters and no training, will struggle.